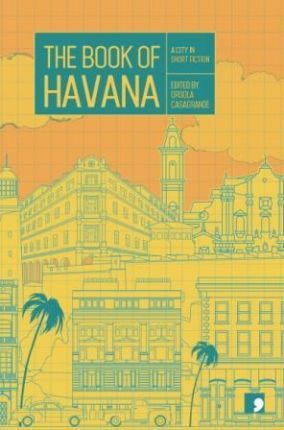 The stories gathered in this anthology reflect the many complex challenges Havana's citizens have had to endure as a result of their country's political isolation--from the hardships of the "Special Period," to the pitfalls of Cuba's schizophrenic currency system, to the indignities of becoming a cheap tourist destination for well-heeled Westerners. Moving through various moments in its recent history, as well as through different neighbourhoods--from the prefab, Soviet-era maze of Alamar, to the bars and nightclubs of the Malecón and Vedado--these stories also demonstrate the defiance of Havana: surviving decades of economic disappointment with a flair for the comic, the surreal and the fantastical that remains as fresh as the first dreams of revolution. Orsola Casagrande was a journalist with the daily national Italian paper il manifesto for 25 years. She is currently the co-editor of the web magazine Global Rights, is fluent in Italian, English, Spanish and Turkish, and reads and speaks Kurdish. Orsola is currently living in Havana. She has reported on the Irish, Kurdish and Basque peace processes, and for the past three years has been covering the Colombia peace negotiations. Her translations into Italian include The Street by Gerry Adams (Gamberetti, 1994), The Second Prison by Ronan Bennett (Gamberetti, 1995), The Fountain at the Centre of theWorld by Robert Newman, (Giunti,2011). Her own books include: Minatori: La storia di Tower Colliery (Miners: The Story of Tower Colliery, Odradek, 2004), Berxwedan (Punto Rosso, 2009), and Europa Domani: Conversazione con Tariq Ramadan (Jouvence, 2008). The first two of these were also the subjects of documentary films which she wrote and co-directed.